R3 Safety partners with Spinstak for our ecommerce solutions. This partnership allows R3 Safety Distributors a fully-automated eCommerce solution at your fingertips, with all of the product R3 Safety Provides and beyond! With this solution you get a customized eCommerce website with all the products you sell and all the features you need. Nucleus 2.0 combines functionality and independence for painless online distribution and a streamlined customer experience. Spinstak gives you full access to our entire product database - that's continually expanding and updated daily! 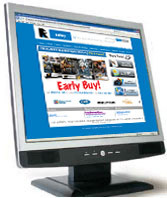 We provide continuous training, support, and web design services - all backed by over 15 years of industry experience. If you have further interest in eCommerce solutions, pleaes contact Judi Christensen at Spinstak with any questions or schedule a consultation HERE.